Denials wear thin: Britain is at war with more than 1600 airstrikes in Syria and Iraq. Deborah Haynes, Defence Editor of the Times reports the killing of a civilian by RAF drone in Syria. The air strike was by a Reaper drone, remotely operated by pilots in the UK or an airbase in the United States. Gavin Williamson, the defence secretary, has admitted that on March 26th, a British airstrike killed a motorcyclist who rode into its path in Syria by chance. It is the first confirmation of a civilian casualty by UK forces in the fight against Islamic State. The unintentional death, described by Williamson as “deeply regrettable”, was confirmed during post-strike analyses of drone footage and other imagery. The official position of the Ministry of Defence until yesterday’s announcement had been that it had seen no evidence of UK airstrikes causing civilian casualties in Iraq and Syria. A source within the US-led coalition against Isis, however, told the BBC that he had seen evidence that British airstrikes had caused civilian casualties “on several occasions”. “To suggest they have not, as has been done, is nonsense,” the source added. The coalition has begun an investigation and will issue a report. The airstrike was by a Reaper drone, remotely operated by pilots in the UK or at an airbase in the United States. The defence secretary admits that RAF jets and drones have conducted more than 1,600 airstrikes in Syria and Iraq and Airwars, a group that has been monitoring civilian casualties, claimed it was likely that between 1,066 and 1,579 civilians had died in the fighting in Mosul. The US and Australia have accepted responsibility for civilian casualties. The coalition has admitted causing just over 350 civilian deaths in Mosul. The deaths, in particular those of women and children, have helped to turn local populations against coalition forces and fuel insurgencies. grandchildren in Waziristan, northwest Pakistan. ’Out of nowhere’, she was hit during a double drone strike led by the US. Mamana is one of hundreds of civilians accidentally killed by US drone strikes. Strikes that the UK has been playing a crucial part in. Media 69: 2016- 2017, good years for burying bad news? “One of the oldest tricks in the Whitehall playbook is to use a major event as cover to publish unpalatable or embarrassing news. “It means the media are diverted by the event and don’t notice the announcement or report”. In his recent post Hencke noted that the Ministry of Defence and the Treasury use of the US elections to hide two bad news stories. On the day before Trump‘s victory, the Ministry of Defence slipped in a very embarrassing announcement about war veterans pensions and disability payments (£438,193,000 in the Armed Forces Pensions and Compensation scheme) for which the Treasury had apparently not budgeted, commenting: “As a result they will have to raid the contingency reserve for emergency payments to make sure these veterans have the money”. Nia Griffith, the shadow Defence Secretary has warned the government that military veterans must be given an urgent reassurance that they will not lose money. Hencke also reports that Anne Marie Trevelyan, Conservative MP for Berwick on Tweed and a member of the Public Accounts Committee, said: “At a time when we are seeing a lot of change in the Ministry of Defence, causing a great deal of anxiety for those who are serving, it is very disappointing to see Defence Equipment & Support has not got to grips with financial management”. See also Hencke’s news article for Tribune magazine. The corporate world continues to make vitriolic but insubstantial attacks on the Labour Party leader, whose approach threatens their unreasonably affluent lifestyles. Steve Beauchampé: “A peacenik may lay down with some unsavoury characters. Better that than selling them weapons”. The media highlights Corbyn’s handshakes and meetings, but not recent British governments’ collusion in repressive activities, issuing permits to supply weapons to dictators. In the 80s, when lobbying Conservative MP John Taylor about such arms exports, he said to the writer, word for word: “If we don’t do it, someone else will”. Meaning if we don’t help other countries to attack their citizens, others will. How low can we sink! Theresa drew attention to an article highlighting the fact that the Specialised Healthcare Alliance (SHCA), a lobbying company working for some of the world’s biggest drugs and medical equipment firms, had written the draft report for NHS England, a government quango. At the time, the latest attempt at mass-medication – this time with statins – was in the news. The world’s largest manufacturer of low-cost vaccines said that British taxpayers are paying for excessive profits earned by big Western drugs companies. Most construction entries relate to the PFI debacle, but in 2009 it was reported that more than 100 construction companies – including Balfour Beatty, Kier Group and Carillion – had been involved in a price-fixing conspiracy and had to compensate local authority victims who had been excluded from billions of pounds of public works contracts. The Office of Fair Trading imposed £130m of fines on 103 companies. Price-fixing that had left the public and councils to “pick up the tab”. The Office of Fair Trading was closed before it could update its little publicised 2010 report which recorded that 40% of infrastructure assets in the energy, water, transport, and communication sectors are already owned by foreign investors. In Utility Week News, barrister Roger Barnard, former head of regulatory law at EDF Energy, wondered whether any government is able to safeguard the nation’s energy security interests against the potential for political intervention under a commercial guise. He added: “Despite what the regulators say, ownership matters”. A Lancashire farmer believes that supermarkets – powerful lobbyists and valued party funders – are driving out production of staple British food and compromising food security. She sees big business making fortunes from feeding the wealthy in distant foreign countries where the poor and the environment are exploited, also putting at risk the livelihoods of hard working British farmers and their families. Large businesses are gradually asset-stripping everything of value from our communities to make profits which are then invested abroad in places like China and Thailand. She ends, “They do this simply because they have the power to do so”. Government does not act on this, appearing to prioritise the interests of the corporate world. The influential transport lobby prevents or delays action to address air pollutants such as ground-level ozone and particulates emitted by cars, lorries and rail engines which contribute directly to global warming, linked to climate change. Last November a report found that waste incineration facilities and cement plants across Europe, had seriously breached emission limits. Intensive agriculture’s lavish use of insecticides, pesticides and fertilizers has also released harmful chemicals into the air, in some cases causing water pollution. Manufacturing industries and petroleum refineries produce carbon monoxide, hydrocarbons, organic compounds and chemicals which pollute the air. Children in areas exposed to air pollutants commonly suffer from pneumonia and asthma. The burden of particulate air pollution in the UK in 2008 was estimated to cause nearly 29,000 deaths. DEFRA’s report for 2013, however, does not refer to health impacts, though admitting serious levels of air pollution. The most recent whistleblower report records that Dr Raj Mattu is one of very few to be vindicated and compensated after years of suffering. The government does not implement its own allegedly strengthened whistleblower legislation to protect those who make ‘disclosures in the public interest’. The latest report on the media relates to the mis-reporting of the Obama-Corbyn meeting: there are 57 others on this site. Rewards for failure cover individual cases, most recently Lin Homer, and corporate instances. Capita, according to a leaked report by research company Gartner was two years behind schedule with its MoD online recruitment computer system – yet the government contracted to pay the company £1bn over 10 years to hire 9,000 soldiers a year for the army. 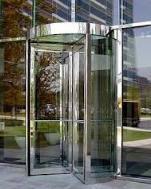 The 74th instance of the revolving door related to Andrew Lansley’s move from his position as government health minister to the private health sector. An investigation by the Mail found that one in three civil servants who took up lucrative private sector jobs was working in the Ministry of Defence. Paul Gosling gives a detailed list of those passing from government to the accountancy industry and vice versa. “Mann’s very public intervention can be interpreted as a calculated move to undermine the party’s electoral chances this Thursday . . .
“Realising that they have at best 4-5 months to try to oust him before reforms anticipated at this September’s party conference transfer crucial powers from the party hierarchy into the hands of members, the forthcoming elections will be used by Corbyn’s adversaries as an excuse to try and replace him”. Will increasingly media-sceptical people – who support Corbyn because they seek the common good – hold firm? 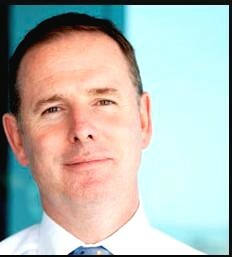 As the electorate sees cuts to basic services, the coalition government has decided to appoint Tony Douglas, the chief executive of Abu Dhabi Airports, with most useful Middle East contacts, as the new chief executive of Defence Equipment and Support (DE & S) on Tuesday. The FT reports: “The new chief of Britain’s armaments programme is to be rewarded with a £285,000 salary and £250,000 performance-related annual bonus, making him the highest earner in Whitehall and the latest in a new line of senior business figures lured into the public sector with the promise of private sector levels of pay”. 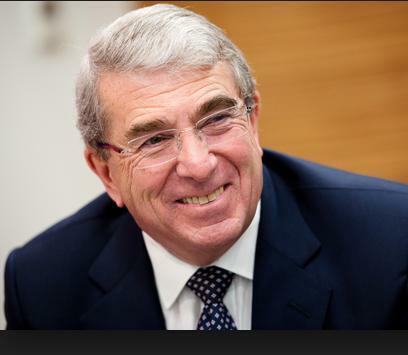 Now to the BBC Trust: Sir Roger Carr, arms manufacturer, representing your average license fee payer? Investigative journalist Felicity Arbuthnot adds another breathtaking example: Roger Carr, the chairman of Europe’s biggest arms company, BAE Systems and Visiting Fellow of Saïd Business School, University of Oxford, has just been appointed as Vice-Chair of the BBC Trust, ludicrously, “to represent license fee payers views”. The BBC is established under a Royal Charter and – under an agreement with the Secretary of State for Culture, Media and Sport – is to serve the public, inform, educate and entertain. 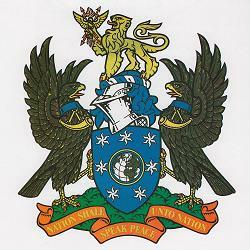 The BBC Trust is its governing body, mandated to ensure that the BBC delivers that mission – and ‘speak peace’ according to the charter coat of arms. On a range of issues, grossly skewed information has led to floods of public protest and the official 2004 Hutton Inquiry investigating the circumstances surrounding the death of David Kelly, a biological warfare expert and former UN weapons inspector in Iraq challenged the BBC’s journalistic standards and its impartiality. CAAT protests that BAE Systems has armed dictatorships and human rights abusers around the world, including Saudi Arabia, Bahrain and Israel. It has presented a petition asking the BBC to cut its ties with Carr and the arms trade. Disturbingly, the Guardian, still read by many thoughtful people, does not mention this affiliation, listing only Carr’s former appointments. If any of the 99% vote for Conservatives in May, they will deserve all the ill-treatment they get – but would Labour, with previous New Labour incumbents, do much better in office? Gill Plimmer and Carola Hoyos report in the Financial Times that the Ministry of Defence is to appoint a private sector partner to manage its military estate – 230,000 acres of land covering conservation sites, office blocks, barracks, homes and military bases. Andrew Manley, chief executive of the Defence Infrastructure Organisation (DIO), was recruited to the MoD in 2009 after a 30-year career with oil giant Shell, becoming chief executive in 2011 as part of government plans to ‘streamline’ the MoD. If he is reinstated, following the current investigation into his financial and personal conduct, will he return to the private sector through the revolving door, as plans to hand over running of MoD bases to the private sector come to fruition? Serco and G4S are bidding to win the £400m 10-year deal, though they have been referred to the Serious Fraud Office for overcharging the government on electronic monitoring contracts. Another contender, Capita, is also under a cloud. A leaked report by research company Gartner revealed that Capita’s MoD online recruitment computer system is two years behind schedule. The government has contracted to pay the company £1bn over 10 years to hire 9,000 soldiers a year for the army. The Observer has seen documents, marked “restricted – commercial” which spell out the fears of the US government and the British army about the potential loss of intellectual property if top-secret information about equipment is taken out of MoD control and handed to a private company. The Under-Secretary of State for Defence Philip Dunne refused to comment on this allegation. The DIO contract is one in a series of attempts to transform the way the British armed services operates. The MoD has spent over £12m on ‘exploring strategic options’. Last year it tried to privatise the procurement of military equipment but there was, eventually, only one bidder. The process to date has been “a waste of money”, according to Labour’s shadow defence secretary, Vernon Coaker (left). Matthew Smith of Jane’s reports that, in a January statement to parliament, Philip Dunne (right) said the government expects to sell the MoD’s Defence Support Group in the financial year 2014-15. DSG has a team of 2,800 top-grade engineers, responsible for the maintenance, repair and overhaul of military air and land equipment, mobile and in-barracks equipment support, fleet management. The latest news is that Babcock, KBR, Dyncorp International, Carillion and Germany’s armoured vehicle builder Rheinmetall are thought to be interested. And the next steps: to place food and justice in the profit prioritising sector? In 2013 Justice Secretary Chris Grayling instructed officials to explore plans for privatisation and ensure that the Courts and Tribunal Service provides value for money. Media appears to be backing the government drive for genetic modification of food crops; a search on ‘2014 UK genetic modification’ finds many articles favourable to the technology. But MP Zac Goldsmith writes: “It is and has always been about control of the global food economy by a tiny handful of giant corporations”. 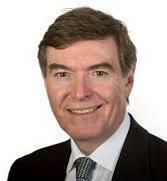 And Ian Bell summarises in The Herald, (Scotland): “Corporate Britain is now at least as powerful as any government. It can and does face down ministers. It can and does run rings around the “watchdogs”. And we are all paying the price for that”. Meanwhile Britain does its bit for the ‘special relationship’ . . . The UK Missile Defence Centre (MDC) was established by the Ministry of Defence in 2003 following signature of a Memorandum of Understanding with the US for the conduct of collaborative ballistic defence studies. Largely funded by the Chief Scientific Adviser’s S&T research programme (Defence Science and Technology Laboratory), the MDC – in collaboration with its industry partners – announced a programme to explore the potential of the Royal Navy’s destroyers to conduct Theatre Ballistic Missile Defence missions. Six months later, building on the Ministry of Defence’s relationship with the US Missile Defense Agency, the MDC also agreed to take part in a trial which will test the Sampson radar, part of the Sea Viper missile system, in detecting and tracking ballistic targets. In September Sea Ceptor missiles were ordered to complement the longer range Sea Viper system (left) on the Type 45 destroyers, providing the Royal Navy with a full range of missile systems to defeat current and future threats. As no other states appear to be interested in attacking Britain and the current UK threat level for international terrorism is ‘SUBSTANTIAL’, according to MI5 – is taxpayers’ money being completely wasted on expensive missile systems? Andrew Tyler, the British Defence Ministry’s former procurement chief, directed a wide portfolio of projects in the Defence Procurement Agency, including the Queen Elizabeth-class aircraft carriers, Type 45 destroyer, armoured fighting vehicles, artillery and munitions projects, and the F-35 Lightning II aircraft. He was also responsible for directing the procurement and support of all the Royal Navy’s surface assets, during his five year period at the MoD. In 2008 he became chief operating officer of Defence Equipment & Support (DE&S), responsible for the procurement and support of all the equipment used by the British Armed Forces and was said to be ‘highly regarded’ despite the poor record of DE&S which minister Philip Hammond said, in 2012, was not giving value for money. This had added “significant additional costs to the defence budget of the order of hundreds of millions of pounds each year”. Privatisation is being considered. Siemens’ Marine Current Turbines unit appointed Andrew Tyler as acting CEO in 2011 but in 2012 he resigned and has now become the chief executive of Northrop Grumman’s UK and European operations. Northrop Grumman is a large American global aerospace and defence technology company. The movement of senior civil servants and government ministers into business roles is overseen by the Advisory Committee on Business Appointments (ACOBA). A Transparency International UK report published in May 2011, called for ACOBA to be replaced by a statutory body with greater powers to regulate the post-public employment of former ministers and crown servants. 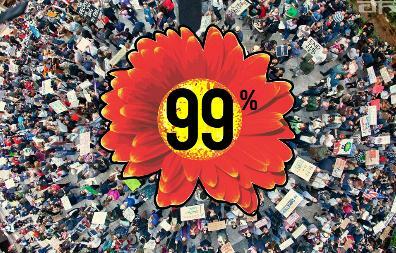 On Soapbox for the 99% – adding to the theory that government-friendly MNCs require a reserve army of labour – Lesley Docksey considers the military role of the ‘underclass’ in Global Research. How ‘fit for purpose’ are British soldiers? Are they truly the well-trained, highly professional people that can always be relied on to uphold the standards of international laws while putting themselves ‘in harm’s way’? Not if one reads the evidence that was given at the Baha Mousa Inquiry, nor that currently being given at the Al Sweady Inquiry. Soldiering is a violent trade despite all the denials, justifications and fudge put out by Ministry of Defence spokespeople and senior officers. The soldiers from the most disadvantaged backgrounds, and with the lowest educational levels, are those in the infantry, the ‘brave boys’ in the front line, the cannon fodder who are trained to kill and be killed. Although the infantry only make up just over 13% of the total British Armed Forces, they bear the brunt of the fighting, the killing and dying, the violence that is war. There are those who join up because they are following a father, uncle or older brother, trusted people who only ever tell them the interesting bits, the fun times to be had in the Army. There are those who have always wanted a career in the Army. And then there are the rest. Often living in the poorest city neighbourhoods, many from single-parent families and broken homes, in foster or local authority care and with lives already full of violence, these are the children who constantly truant from school, roaming the streets and forming gangs. The truancy, gang culture and a failing social system mean they miss out on the one thing that might get them out of dead-end lives – education. These disadvantaged youngsters are targeted by Army recruiters. David Gee (a researcher into the recruitment practices of the UK Armed Forces) and Anna Goodman studied how often the Army visited schools within London, and what type of schools they favoured. They found that the most disadvantaged schools (the bottom 20%) received 52% of all the visits made by Army recruiters to schools in the area studied. They also found, despite the military vigorously denying that they ever send recruiting teams into primary schools, a few occasions when primary schools were indeed visited. When the Ministry of Defence were asked for information by the Defence Select Committee they said that they “did not collect socio-economic data on Forces personnel”. Many youngsters, facing a future with no job, believe all they are told by the recruiting teams about how wonderful a career in the army will be – an exciting life, foreign travel, lots of sport and the rest. The Army will train you, they are told; you’ll come out with a good qualification, something that will get you a good job when you leave the army. No one tells them that if you want that kind of training you may have to sign up for perhaps an extra three year’s service, just to get on a three month course. Not once is the word ‘risk’ mentioned, that by signing up they risk being killed, disabled or mentally damaged, the risk that is nobly described as ‘putting themselves into harm’s way’. Nor is it made clear that they will be trained to kill. That word is totally absent. The enemy may be ‘engaged’, ‘cleared, or ‘taken out’ but never killed. David Gee’s report on armed forces recruitment practice in the United Kingdom, Informed Choice?, gives examples of such euphemisms. He writes: “The Army Jobs web site contains 296 pages. It contains the word ‘enemy’ on 36 of these but does not contain the word ‘kill’, ‘killing’ or ‘killed’.” So even if a potential recruit can read all of this, he will not get any accurate idea of what it is he will sign up to. Much of the training involves what you and I would call bullying – and worse (the facts that came out in the Deepcut ‘suicides’ scandal testified to that). Some, braver or more desperate than the rest, leave within the permitted first 6 months of training. The others stay on and bond. This is now their ‘gang’, their replacement family. They are all in it together, whether suffering or getting drunk. The Army depends on that bonding. It means they won’t let their mates down, they’ll follow orders – and they’ll hide the fact that they are mentally distressed. But in any other sphere except that of the British Forces, these are considered to be children. And we have the gall to throw our hands up in horror at the child soldiers of Africa! In March a Kings College study was published: Violent offending by UK military personnel deployed to Iraq and Afghanistan. Soldiers who have served in the front line in Iraq or Afghanistan are 53% more likely to commit a violent offence later in life. Violent offending was most common among young men from the lower ranks of the Army and was strongly associated with a history of violent offending before joining the military. It also found that the proportion of servicemen under 30 years old with a conviction for violent offending was much higher than among men of a similar age in the general population (20.6% vs 6.7%). When the report was published military spokesmen were quick to point out that ex-military personnel are more law-abiding than the general public. That is true but it includes all those who stayed in the Forces until retirement, who had learned to lead disciplined lives and, more importantly, all those who did not serve in the infantry’s front line. It is the whole social system that is at fault, and with rightwing politicians constantly demonising the poor and disadvantaged, one can’t help thinking that the creation and maintenance of an underclass has always been deliberate. Governments need scapegoats and sin eaters and, given their propensity for waging wars, where else would they get their cannon fodder? After a protracted investigation saga (details via any search engine), Exaro has finally driven the UK’s Ministry of Defence to admit that officials working on a contract embroiled in bribery allegations are paid for by Saudi Arabia. The extraordinary story of persistent investigation as MoD twists and turns may be read after registration with Exaro News.